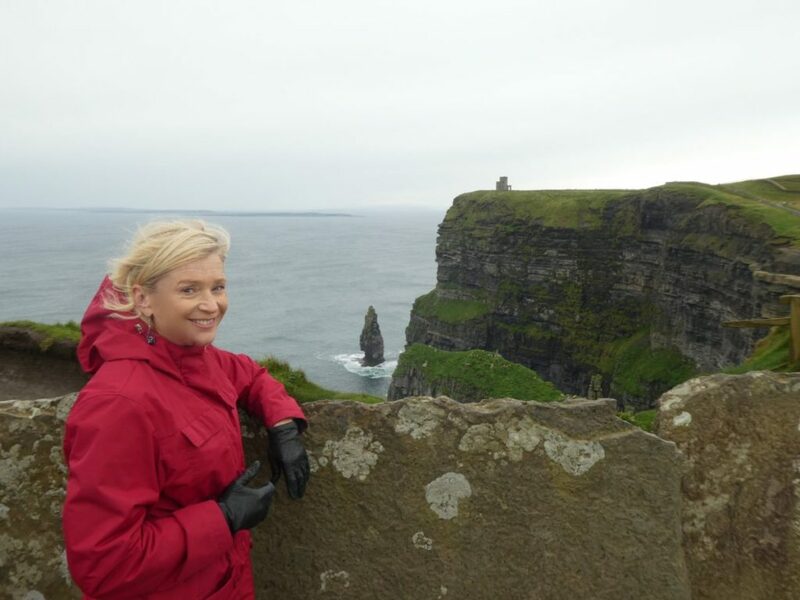 Ireland’s Wild Atlantic Way can also be very wet, especially if you visit in late September. Here’s how to see some of the highlights in 3 days without getting soaked. 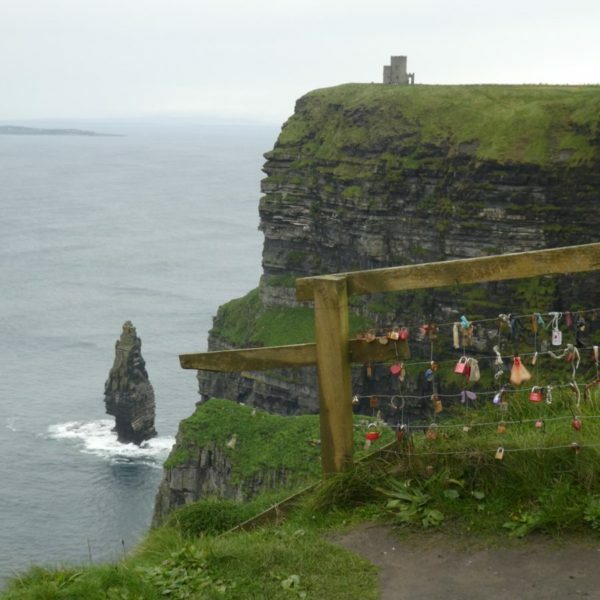 This is one of Ireland’s top natural attractions. A few hours of partly cloudy sunlight allowed us to make the drive from our home base in Galway in about 90 minutes. Arriving before 10 am, we were able to park and make our way to the scenic pathways before the procession of tour buses began to arrive: 6 euros per person when you pull into the parking lot, discount to 4.50 for seniors and students with ID. 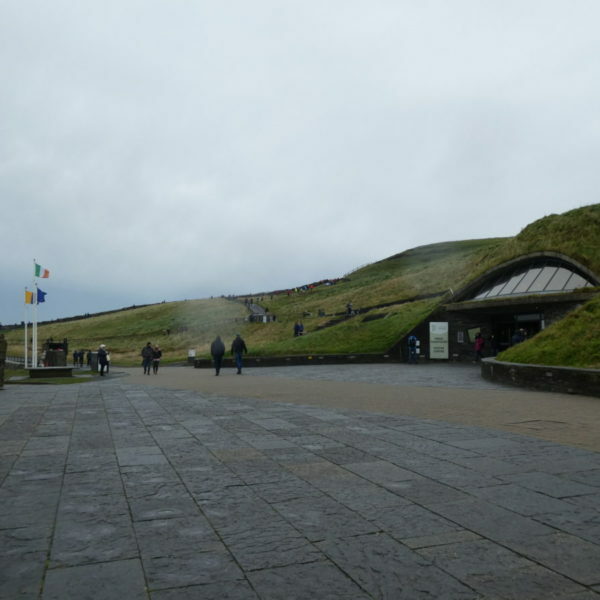 The visitors’ center is cleverly concealed in a hillside. It has restrooms, a cafe and interactive exhibits for the kids. A small theater continuously shows a short film with a bird’s eye flyover of the cliffs and a computer-enhanced look at the underwater eco-system. But you didn’t come here to watch a movie. The real show is outside. Leaving the visitors’ center, turn right and head up the stairway to O’Brien’s tower, which has no military significance whatsoever. 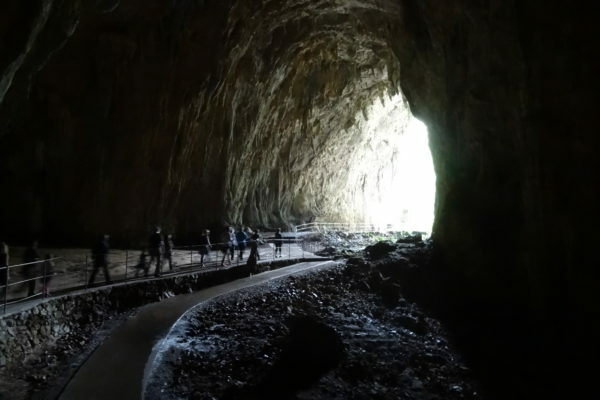 It was built in 1835 when tourists began flocking here. The views are pretty splendid from the area around the base, so we didn’t pay to climb the tower. Going beyond the paved path here was not really an option due to ankle-deep mud from recent heavy rains. Venturing back down the steps and then continuing in the opposite direction, you’ll notice the paved path has been walled off with large flat stones. 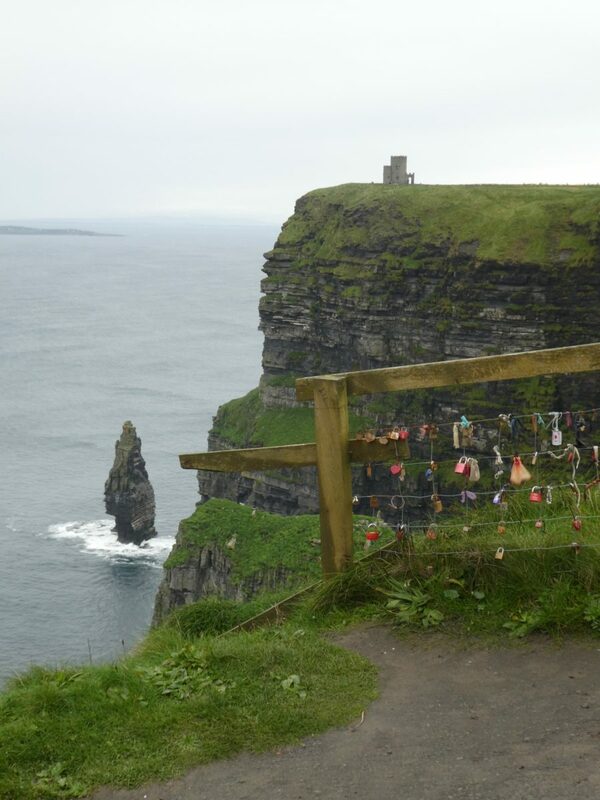 Look back toward the formation known as “The Stack,” with O’Brien’s tower looming on the cliff above it. Again, the paved path ends, and you’ll have to clamber over a fence to continue. 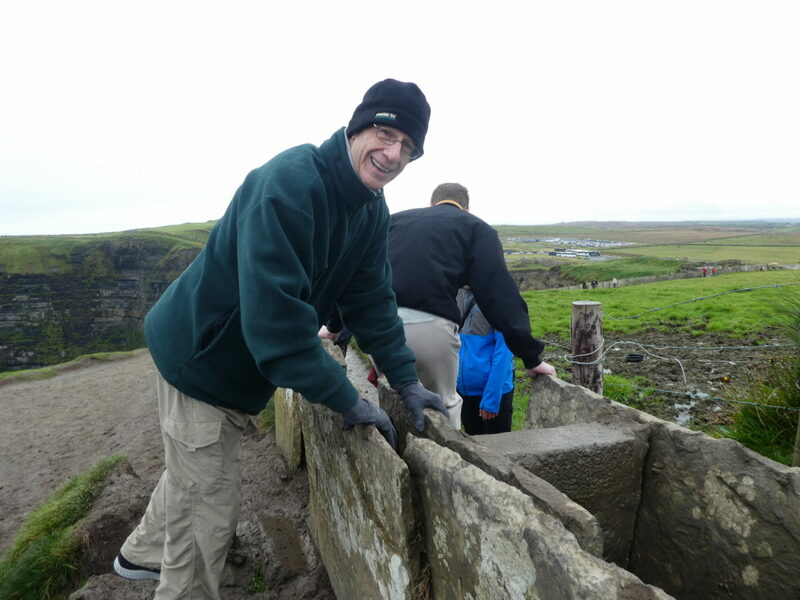 The protected pathway was flooded and muddy, so we took our chances on the drier but slippery path outside the wall. Don’t even think about getting close to the edge; the wind gusts are strong enough for a fatal push. 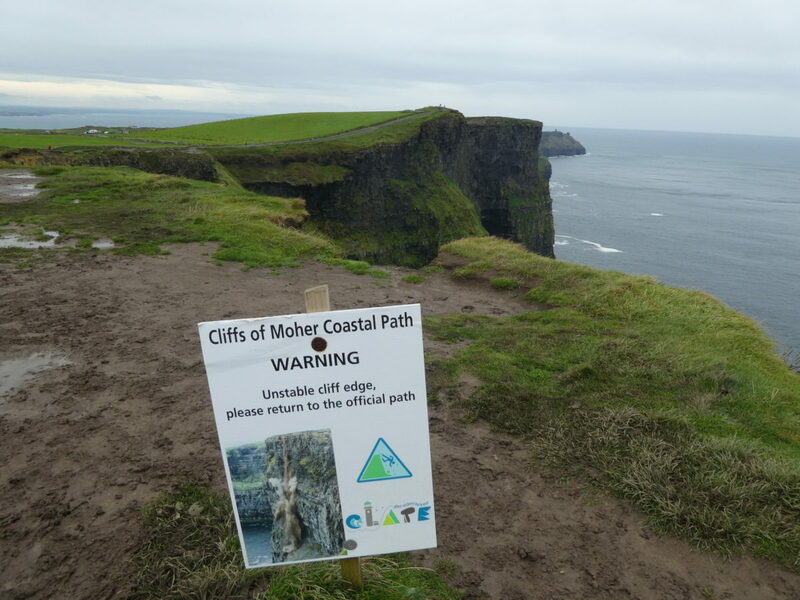 Sadly, people have jumped off, and placards provide a hotline number for anyone with thoughts of “ending it all.” As it started raining again, we decided not to walk any further in the slippery mud and turned back after a few unforgettable photo ops. 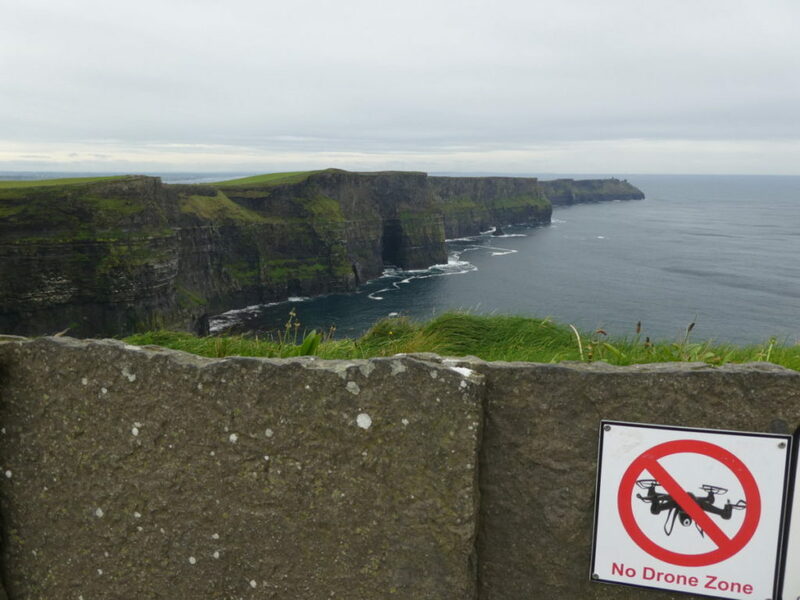 The Cliffs of Moher is a No Drone zone. Due to the unforgiving winds and terrain, it seems like a risky place to try drone photography. Away from the visitor’s center, there’s a free entrance from Hag’s Head, if you really want to give it a try and have more time for parking and walking. 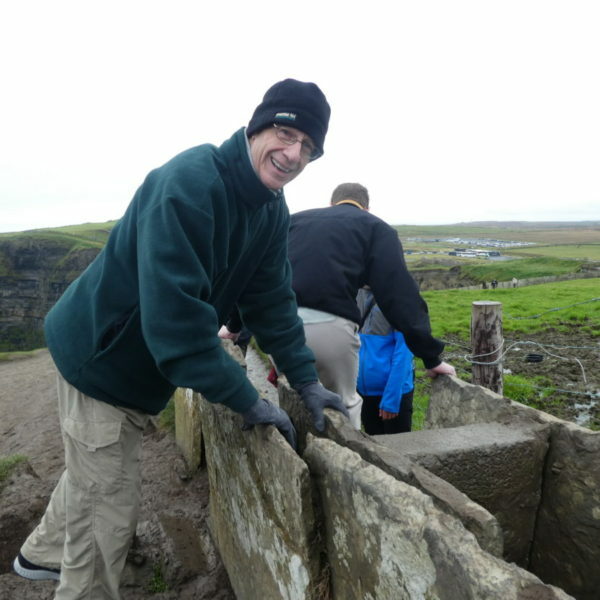 The cliffs are part of a UNESCO-protected geo-park that also includes the spooky landscape known as The Burren. The land is oddly treeless and paved with natural limestones. We passed through the town of Kilfenora, which has an interpretive center for those interested in this unusual ecosystem. 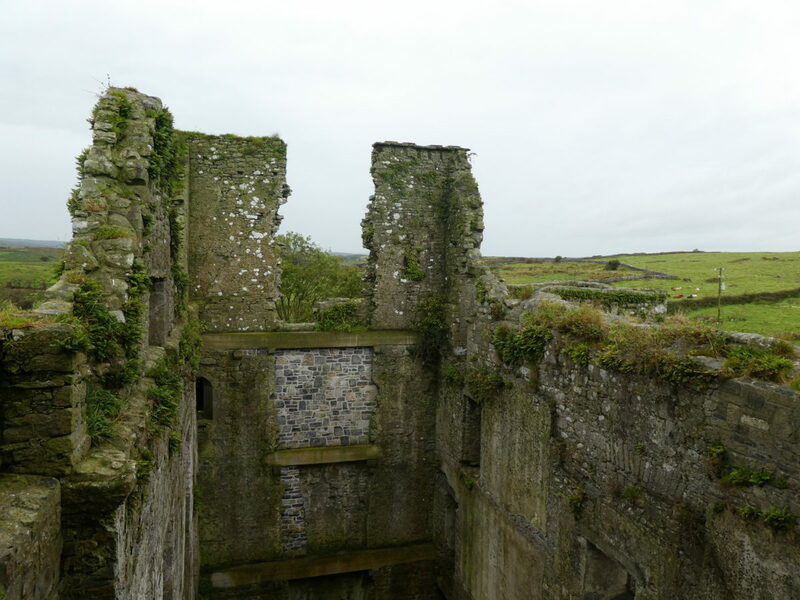 On the edge of the Burren, a spooky abandoned home. 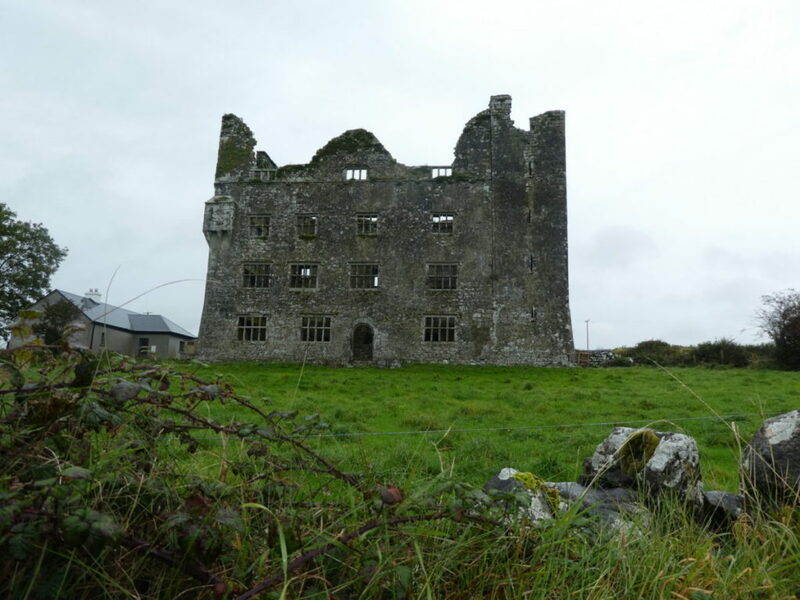 On the outskirts, we spied the ruins of a fortified house. 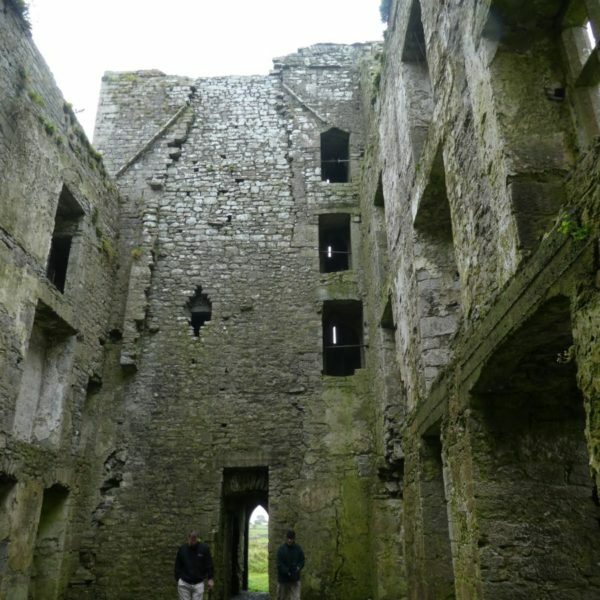 The original tower of Leamaneh Castle was built in about 1480 by a man who surrendered his Irish royalty to the English. And it may be haunted by the flame-haired ghost of a woman known as Red Mary. 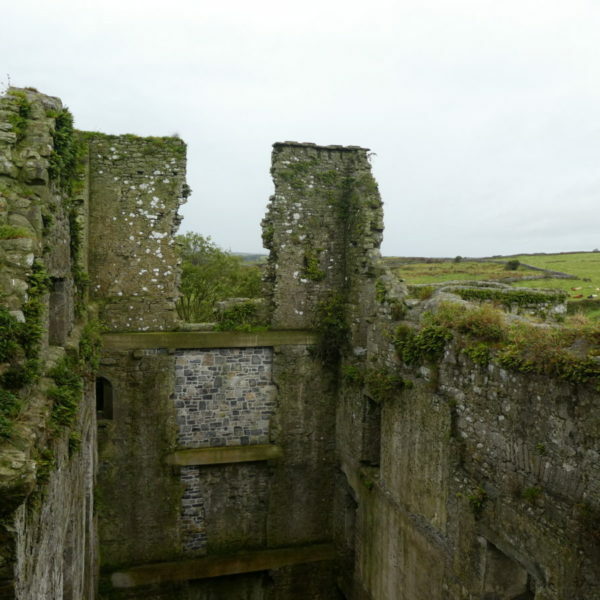 Legend has it that she had numerous husbands while trying to maintain her hold on the estate. 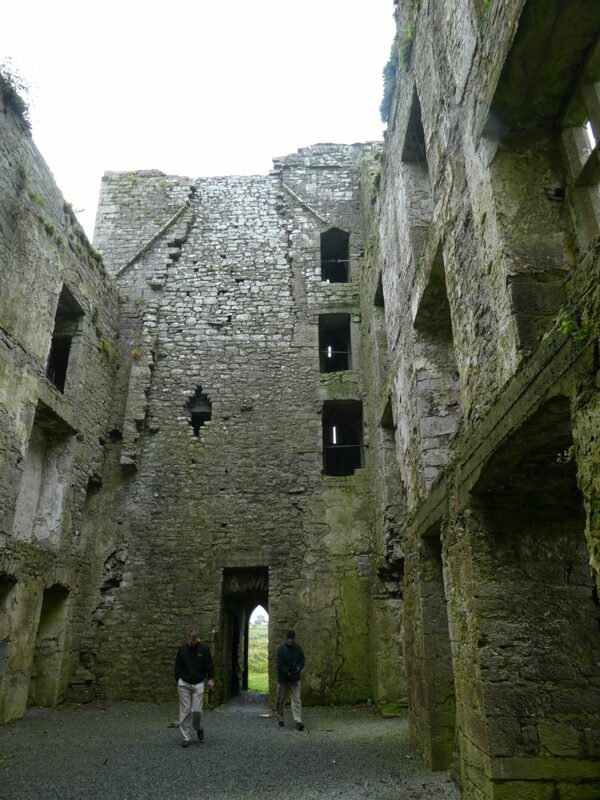 Eventually the family moved to a larger castle, leaving only the mossy stone walls and an eerie ruin. Continue north on the R-480 towards Ballyvaughan. 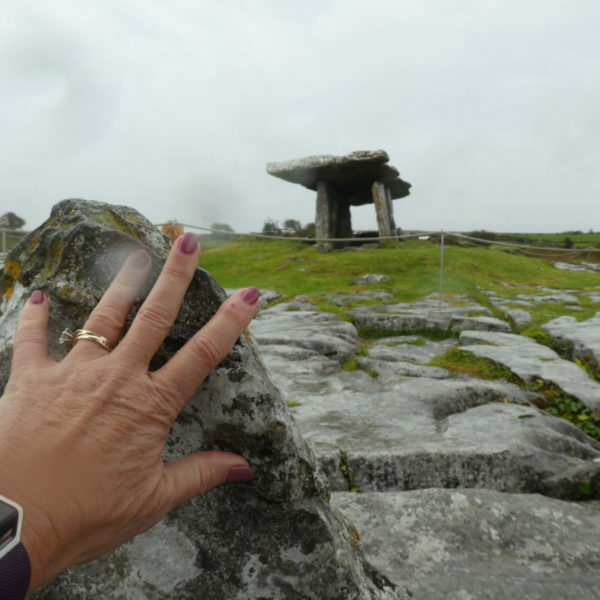 Look on the right for the entrance to the Poulnabrone Dolmen and pull into the parking lot. 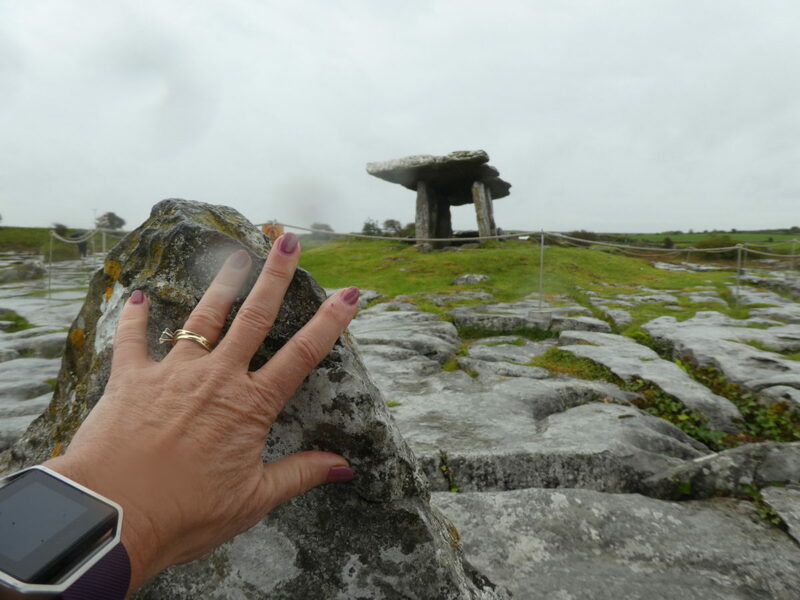 Umbrellas are fairly useless here in the punishing winds, but in a hooded rain jacket you can make the trek to a Druid tomb believed to be more than 5,000 years old. 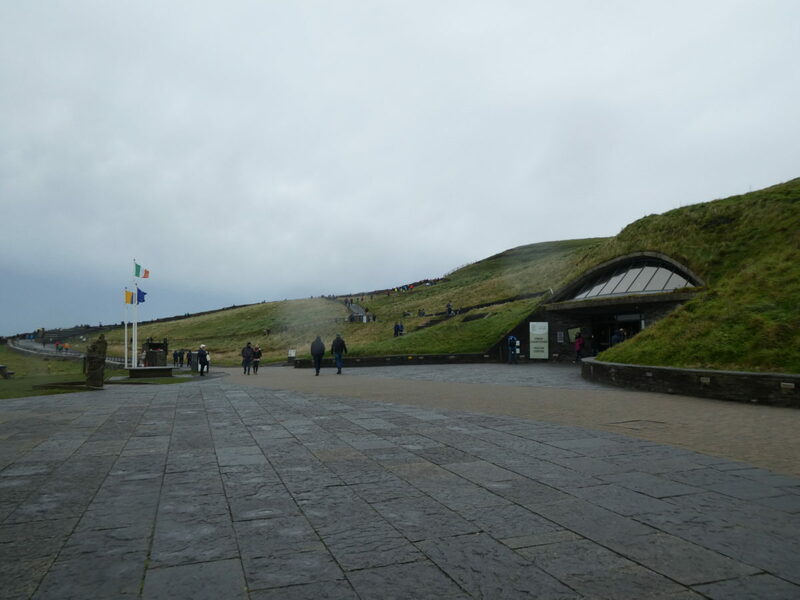 The signs say at least 33 men, women and children are known to have been buried in the chamber below the stone portal. Snap some pictures and imagine traveling through this doorway to another time. 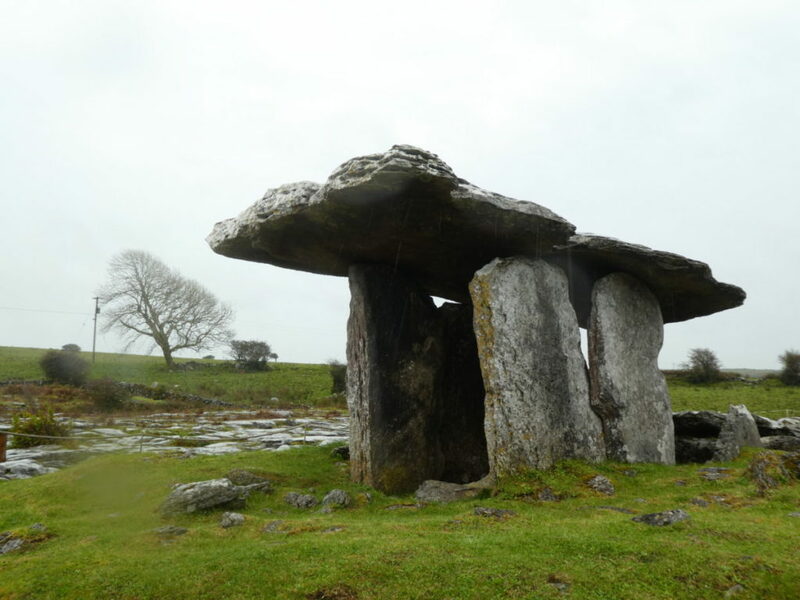 A Druid portal tomb that is more than 5,000 years old. 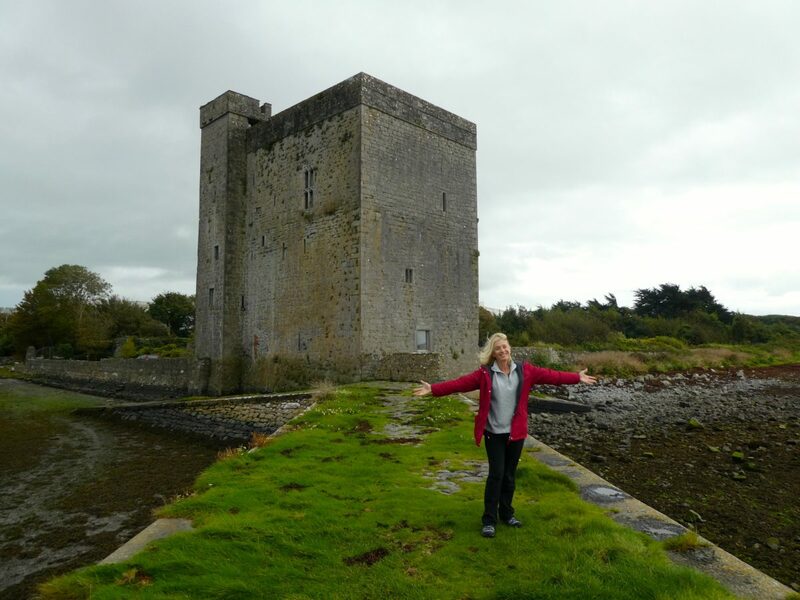 On the road back to Galway, stop in the scenic waterfront town of Kinvara. 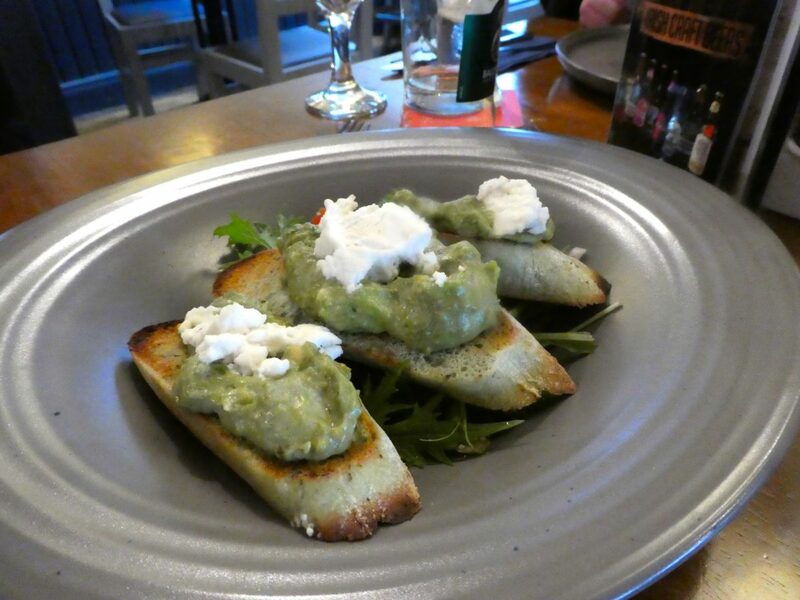 It’s famous for the medieval banquets staged in its waterfront castle, but you can make a convienient lunch stop at Keogh’s. This friendly pub served the best food of our Ireland trip so far! 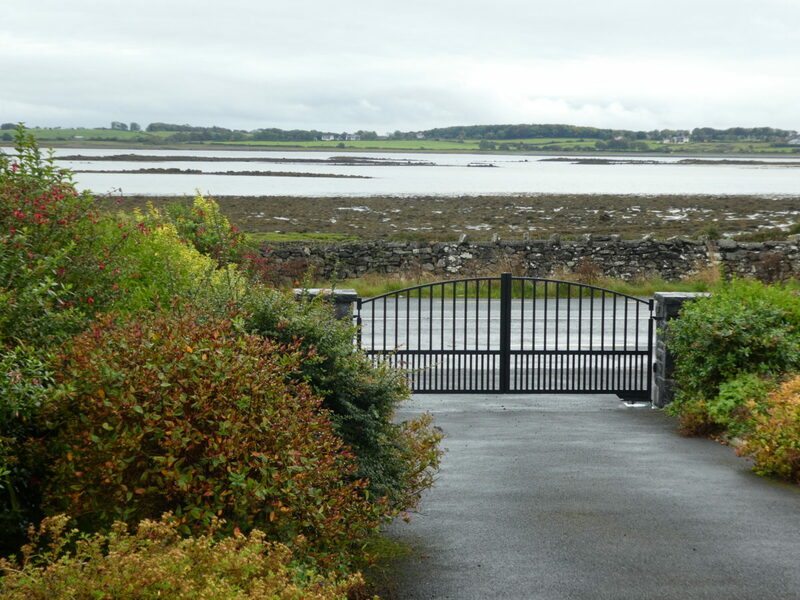 Even if the weather is “consistently miserable” you can still enjoy a coastline view from a charming Airbnb Sea Mist cottage just outside of the city near the town of Oranmore. Who doesn’t love a town with family-friendly pubs and a conveniently located castle photo opportunity right next to the grocery store? Booking your cottage: Our spacious two-bedroom with sitting area and kitchen comes with the warm hospitality of David and Michelle. There’s an extra baby room if you’re traveling with wee ones. Best part: you can literally see the coastline from the living room window. To get started by setting up an account on Airbnb with a discount, click here. On a sunny Saturday afternoon, Galway was bustling with shoppers and street musicians. 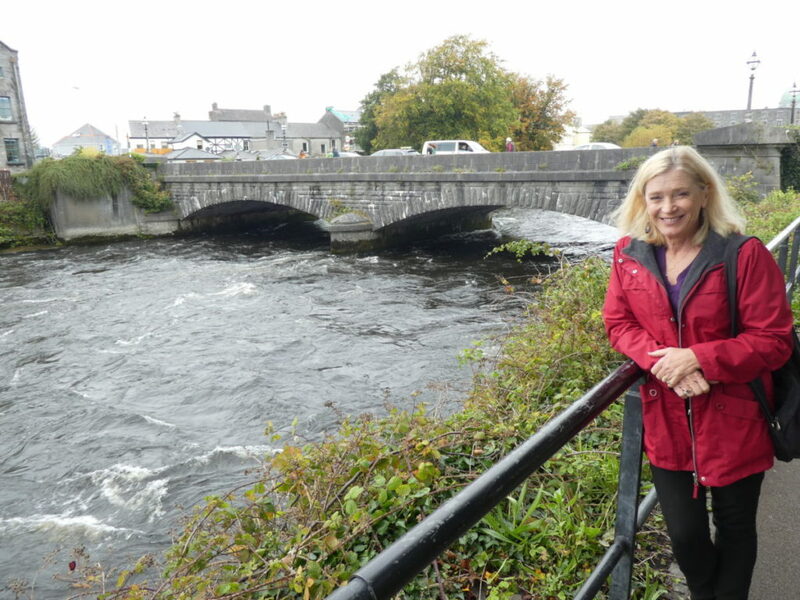 But my favorite place was the scenic River Walk to Galway Cathedral. 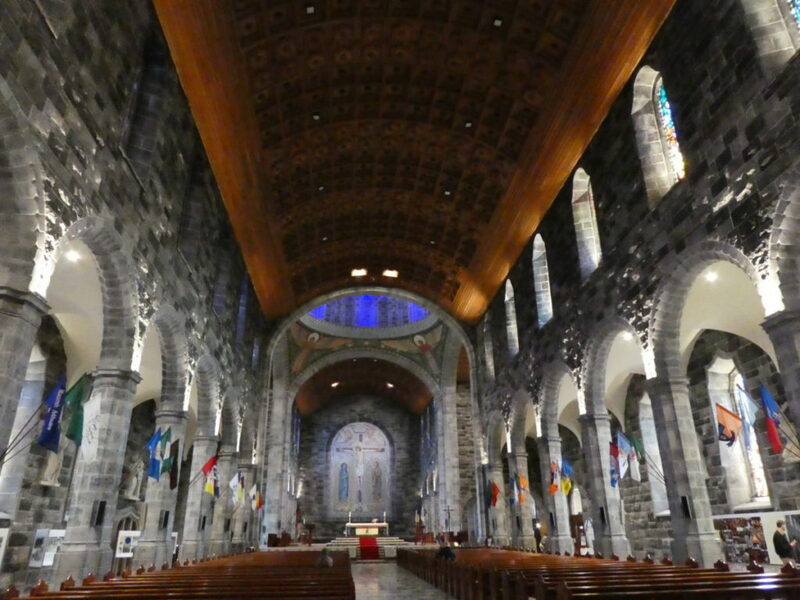 A memorable walk along the river to Galway Cathedral. This modern house of worship with a gothic feel is on the site of a notorious former prison. 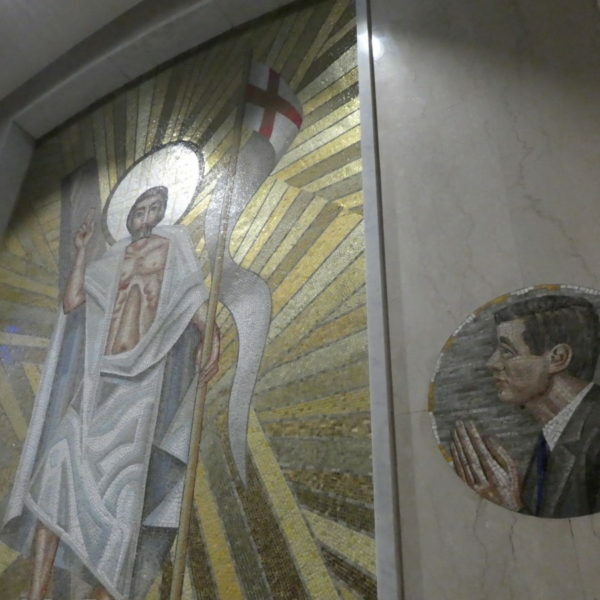 US President John F. Kennedy has a saintly place of honor in a chapel mosaic. 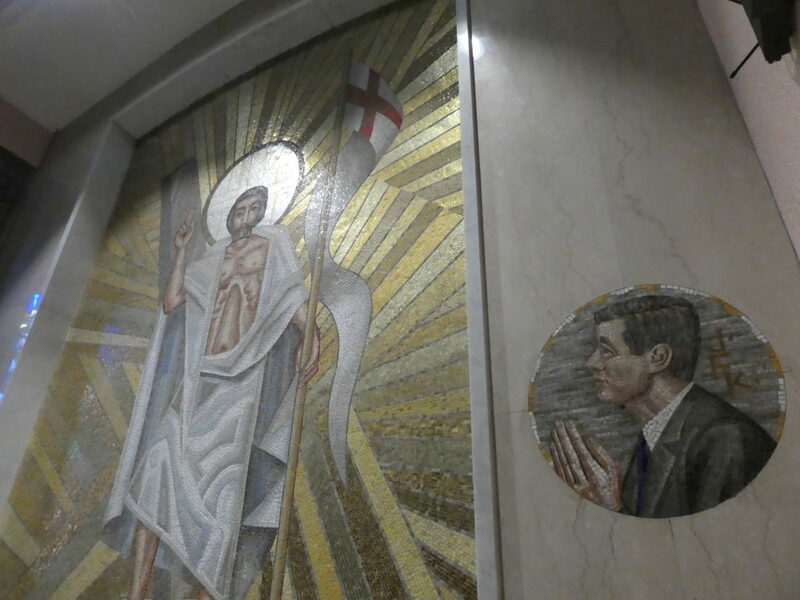 Theoretically free, but parishioners will welcome you at the door with a brochure and request for a suggested donation of 2 Euros per person. Soaring modern architecture in a cathedral on the site of a former prison. 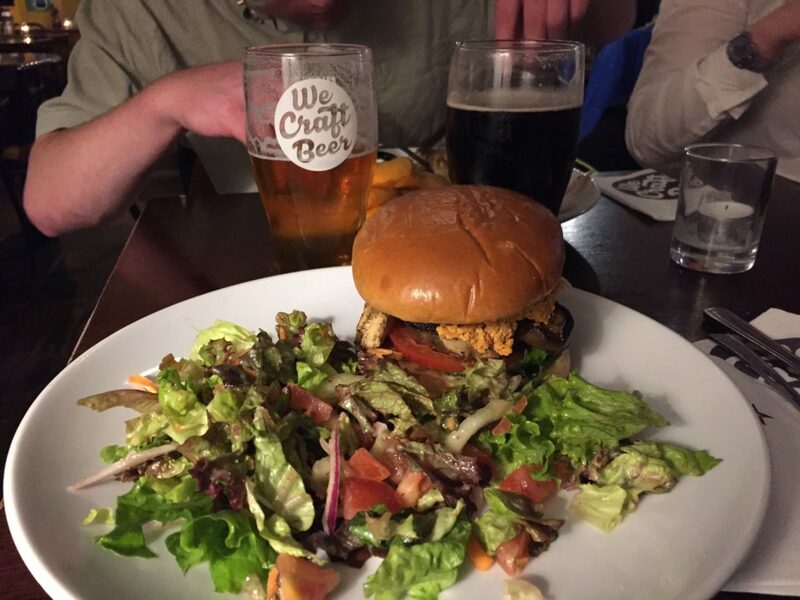 Ready for a break from pub food? 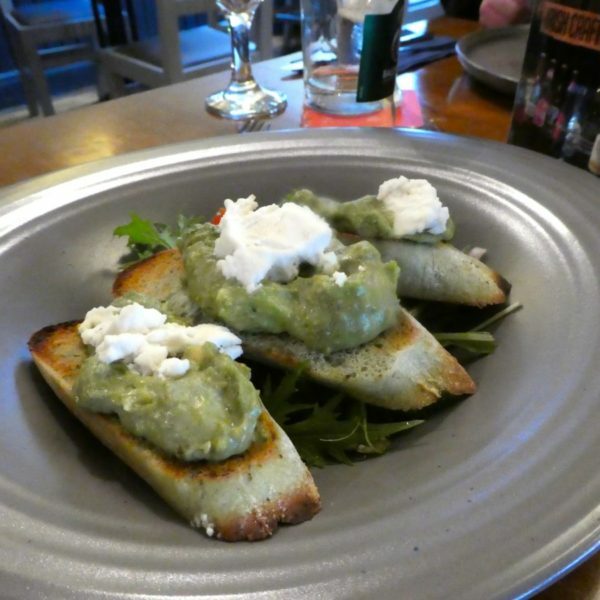 Trattoria Magnetti on Quay Street offers freshly made Italian fare that won’t break the budget. You can hear plenty of traditional Irish music on the streets of Galway, but for a hip hangout head out of town to Salthill. 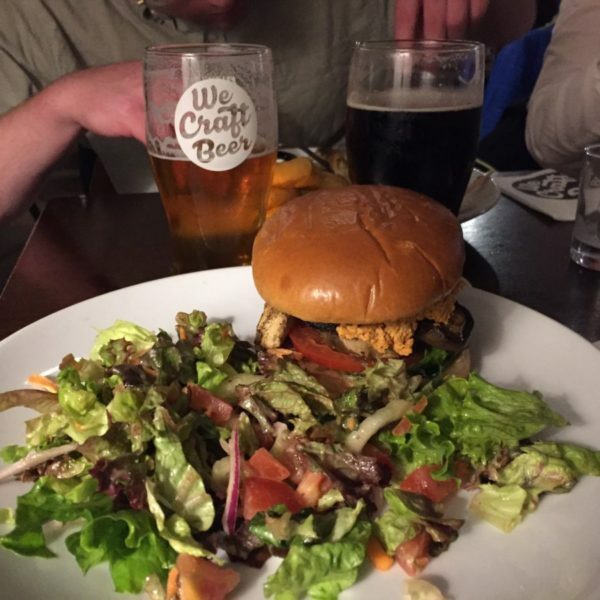 Even if you don’t stroll on the beach promenade due to the stormy weather, you’ll feel snug and well fed in the Oslo Pub and Microbrewery, where couples and groups of college students gather at tables to sip the local craft beers and play cards or board games. A car is a must for a family visiting the Wild Atlantic Way. 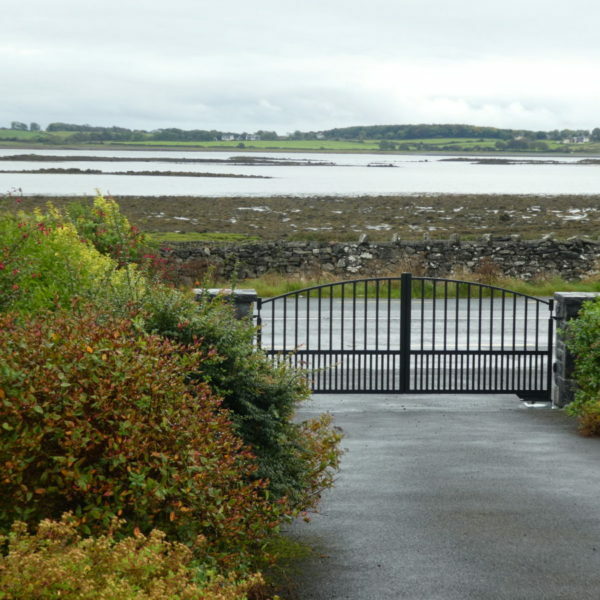 If you’re weary of driving on the opposite side of the road, staying on the outskirts helps you avoid crawling through city traffic in the booming city of Galway. When you’re ready to venture into town, ditch the car in a pay parking lot and enjoy the bustling, walkable streets. 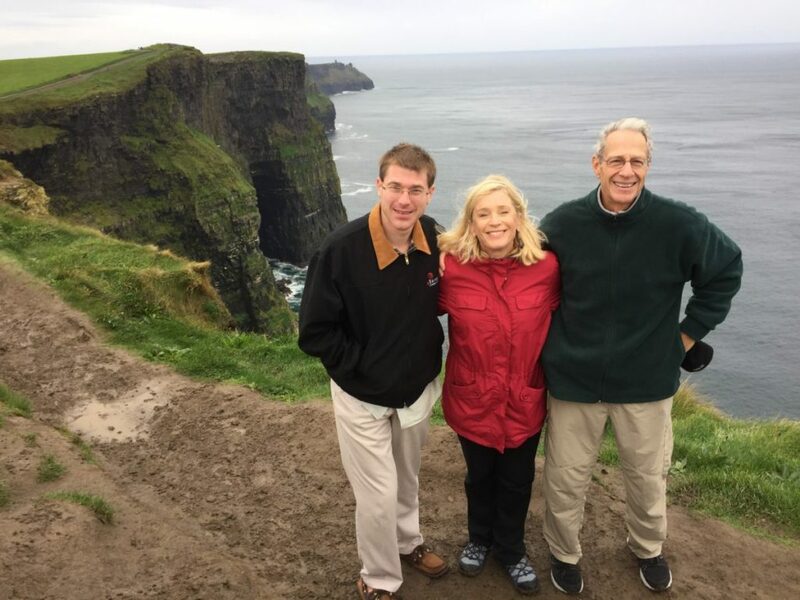 If your Ireland trip includes Dublin, you can save a lot of money on sightseeing and transportation with the Dublin Pass. 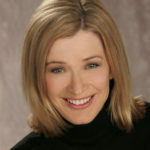 If you enjoyed this post, please consider clicking on this link to buy your pass. 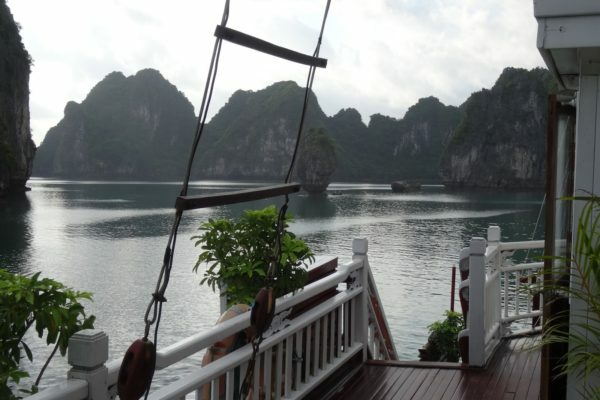 And then read this post for a detailed explanation of how to use your pass for an unforgettable visit. 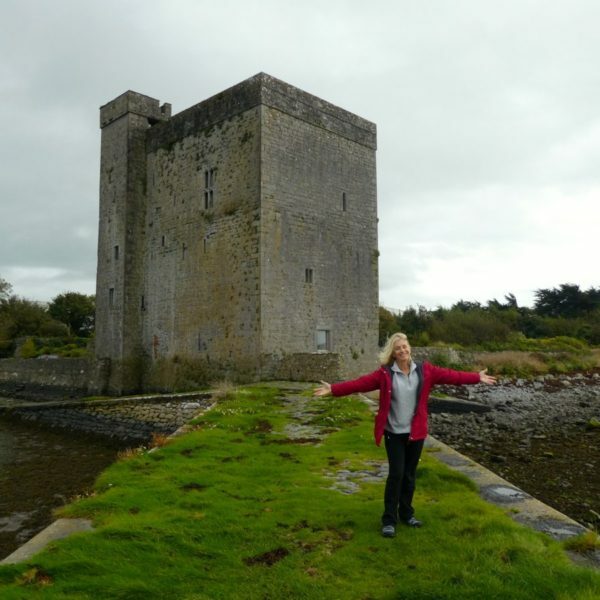 Is Ireland on your bucket list? 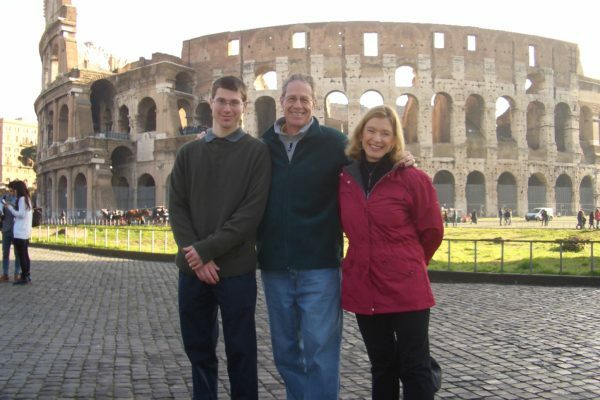 Want more stories on experiencing history and culture in authentic Europe? Like @strangersinthelivingroom on Facebook, and sign up for the occasional email when there is a new post here on the blog. 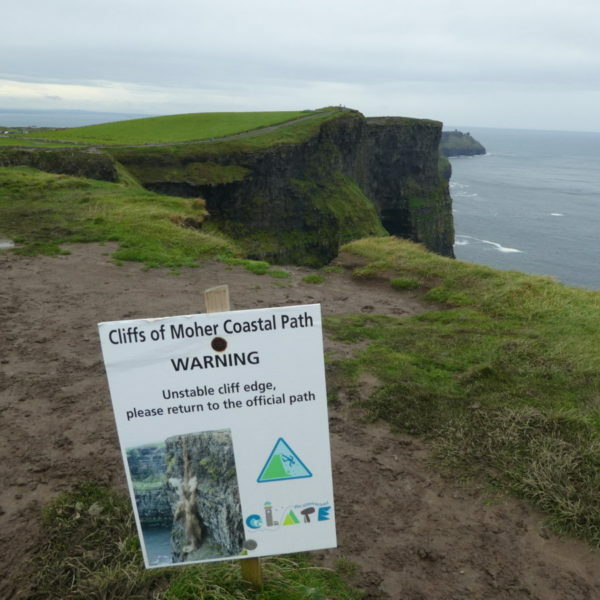 Family fun at one of Ireland’s most popular sights, the Cliffs of Moher.